You must be quite excited about studying in Australia. That’s understandable, if not expected. Millions of students all around the world could not wait to get hold of the much coveted Australian student visa. And they have countless reasons to be so. The biggest nation in the world offers the most number of opportunities for its guests, not only in the field of education but in many other areas of interest as well. First of all, the country consistently ranks high in the Legatum Prosperity Index. Last year, for instance, Australia landed on the sixth spot. What does that mean? It simply means that the country and its people are not only blessed materially but are prosperous holistically (in their overall wellbeing) — you may check happy index. Therefore, Australians have every reason to call their country a lucky country. And that luck may rub on every visitor of the place like you. The Australian government takes education very seriously. To prove that, it introduced in 1995 what they call the Australian Qualifications Framework (AQF), which incorporates the qualification systems for all education and training sectors starting from lower schools to training institutions to vocational schools up to higher education. AQF ensures the uniformity and tangibility of the development as far as education is concerned. It’s no surprise then that the country holds the bragging rights as having owned seven out of the top 100 universities in the world. For a nation with a population of only about 24 million, it’s no mean feat. And there’s a bit of good news just for you: The government invests heavily in international scholarships. They set aside a huge amount annually for that purpose. So you are already through with your due diligence about your prospective host country and – as we have always expected – choosing Australia proves to be a no-brainer for you. The next item to check out is the financial requirements for acquiring an Australian student visa. The basic premise here is for you to prove to the government that you have enough money that is rightly available to you to defray the costs of the course you’re going to take, your travel and your living here, which may include your family members who may accompany you. If you’d like to be first to know about Australian visa and migration news, please consider following us on a facebook. Proof of the availability of the funds you are going to use for your travel to Australia, 12 months of living here, course fees and schooling costs (for school-aged dependents) for the student and accompanying family members. If you intend to take a short course, you will only need to show evidence of funds for the corresponding length of stay. The other manner is through evidence of annual income. The income shown here must be the personal income of your spouse (who’s not traveling with you) or your parents. If both of your parents are working, their combined income forms part of the requirement. This option is suitable for the applicants who come from well-off families that can afford to send their children overseas to study. Armed with the documents supporting your financial capacity, you can now lodge or extend your student visa application. Please keep in mind despite student visa holders are allowed to work in Australia, that potential income cannot be taken into consideration when providing with information about your financial situation. 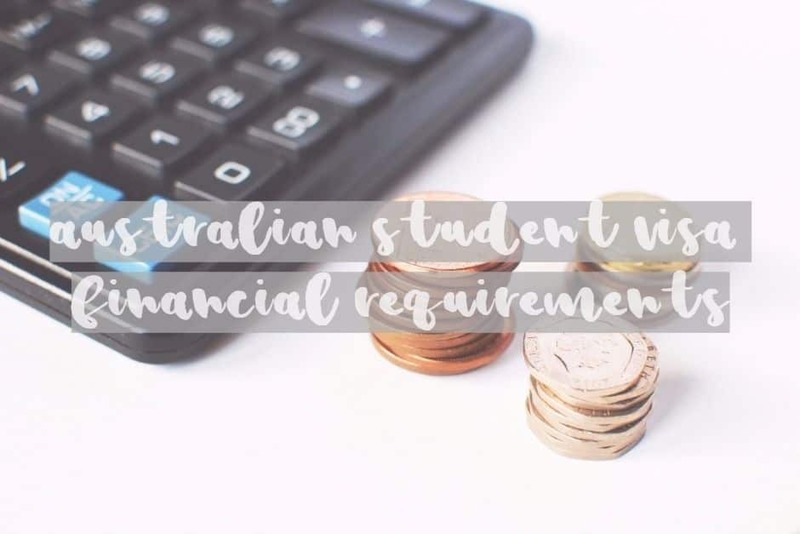 In the real figure, how much are the financial requirements for an Australian student visa? According to DIBP, the cost of living here for a 12-month stay (from 1 July 2016) is AUD 19,830 for the student or guardian, AUD 6,940 for the partner or spouse and AUD 2,970 for each child. AUD 3,040 for each child. Should you include your school-aged children in your student visa application, each child requires AUD8,000 of schooling costs, which will be added to the required amount of funds. That amount is just the minimum requirement for purposes of visa application. For this reason, the government encourages you to undertake your own research as to schooling costs which may vary from one state, territory or school to the other. If you choose the annual income option, it requires you to provide evidence of personal annual income of at least AUD60,000. If some family members accompany you to Australia, the amount is AUD70,000. If you happen to be a PhD student, you are exempted from demonstrating evidence of schooling costs for your dependent children. You just need to provide proof of enrolment in a government school here with the exemption from school fees. So there you go: You’ve just gone through the Australian student visa financial requirements. Some of the areas we have just tackled may be clear, but we know there are still many points that need more explanation. In that case, we urge you to contact any of our personnel at Nowak Migration. We are only too willing and ready to sit down with you to discuss your concerns. You can find our contact details such as our phone number, email address, website, Facebook page and YouTube account in the Contact Us tab here. Feel free to join the discussion and leave the comment below. Whoever wants to study in Australia must also provide with a proof they are able to support themselves financially during their stay in Australia. There are various ways how it could be done. May I ask about the financial requirements for the student visa – sponsorship option. One of my good friends has asked if I would be the sponsor for her application (as she is required to prove financial requirements). I would be happy to do this however would like to ask if a sponsor needs to be a family member or it can be a friend? If it is possible for me to be a sponsor, what type of documents do I need to provide? And if she would like further assistance with her application, what would be the fees? In some circumstances, a department can accept a support from a friend. Statutory declaration and proof of funds may be satisfactory. I am already here in Australia having a student visa, my older sister who is already an Australia citizen sponsored me to come here, I have a 2 year old child which I left in my home country. Is it possible for my child to come under a subsequent visa in a way that my older brother will be her sponsor. Is it fine if me and my child have two different sponsors? Can’t see any issues with getting supported by another sibling. Do the maths. Depends on the duration of the course. I have done diploma level 7 in NZ and when i did RPL in australia they just give me credit for 2 subject and i have to do 3 yrs bachelors now. Does it effect on my case for australian visa? Not really it is up to the school if they’ll accept your previous education towards study in Australia. Surprisingly sometimes it is better not to accept any credits – depends what are your plans for the future. Hi one of my cousin brother is Australian resident. Now I’m applying for student visa. Can he sponcer financial funds for me add it’s in mine visa application? His support might be taken into consideration by a case officer. I am a Nigerian living permanently in South Africa , and I have been given an offer to study in Australia. can my uncle or cousin in Nigeria take the sponsorship? Case officer may consider such a sponsorship. Great information provided, thank you! I am financing my sister’s studies here. My parents do not have the enough funds to sponsor her because my dad’s self employed and my mom is a housewife. Me and my partner can show proof of annual income more than 60k, but just do not have the 20k in our accounts. I have always paid for my sister’s school back home and will be doing so in AU as well. If we can submit papers that me and my partner are of stable employment, will be covering her expenses, and prove that I have been providing financial support to my parents over the years, would that be sufficient? I do appreciate your reply. Thank you! you’re on good track. Financial support for parents does not seem to be relevant here. I am in India and i recently finished my 12th, now i want to go to Australia for further studies but my parents annual income is only AUS 10000$ per year, but they have savings for my tuition fee and 12th months living expenses in Australia. So is it safe to apply student visa with this annual income of my parents ? If there is money in the bank (savings) this could be used as a proof of financial capability. Let us know if you need an assistance with choosing the right course and a visa application. 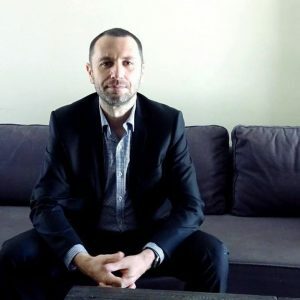 My brother annual income is about 80000 AUD, who is working in australia nowadays, can he become my sponsor while I don’t show any evidence of bank account? It’s possible. Depends on the country of your passport. 1. Can the sponsor be any close relative or must be blood relative or immediate family. 2.I have required the amount in my account for a visa from past one month, Can I apply for a visa with that? Do I need to show the proof of documents from where I have received that amount? Bank is ready to give me a proof letter. will that work as proof? Please suggest me how to proceed and if you have any other options. Depends on the country of your passport. 1. could be – best if the person is an Australian citizen or PR. 2. They are usually asking for 3 months. I have done my diploma in computing level 7 from New Zealand and I am looking to do my skill assignment . Does this qualification counts. What is the occupation you want to assess, when did you do your diploma, have you got any work experience. Please book a consultation if you’d like to discuss. Up to the case officer if they’ll accept that. It’s rather weak evidence of funds. I am a Pakistani and I,ve done two years degree bachelors of commerce and i want to pursue my studies in Australia. And I can only show bank statement of AUD 45,000 for one month in my account. Is it fine to apply with this? Up to the case officer. Remember – the financial requirement is just a part of GTE. There are other factors.